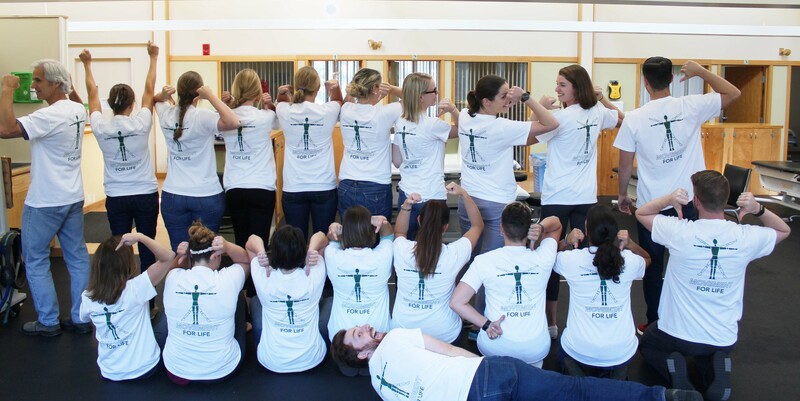 Not only will our team be participating in the Hero again this year, but we will be helping out in the festivities with a Massage and Recovery Booth! Stop by for tips and tricks for your run and let us help you soothe away aches and pains following your outing. We would also really appreciate your support! Please consider making a donation to our team here. 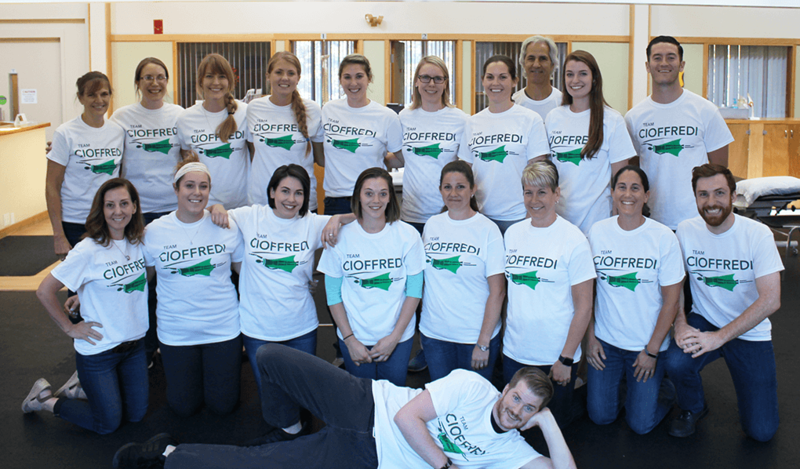 When you donate $20 or more, we’ll give you a Team Cioffredi Hero shirt (seen modeled by our team here) that you can pick up in either Lebanon or Grantham clinics! 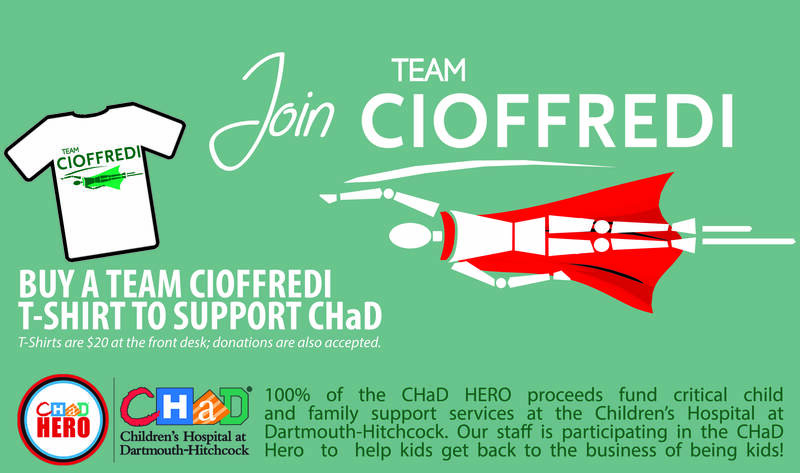 …participating in the CHaD HERO, a fun and inspiring fundraising event benefiting Children’s Hospital at Dartmouth-Hitchcock (CHaD). 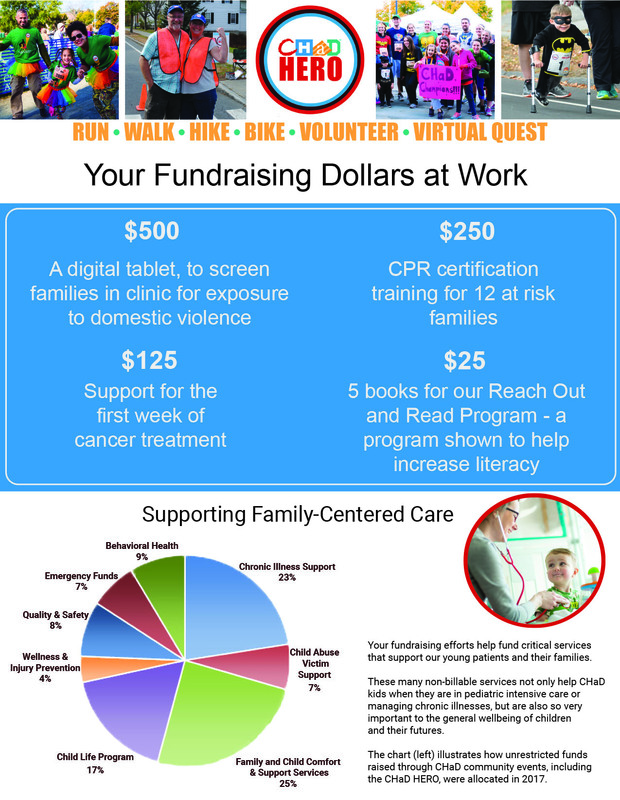 100% of the CHaD HERO proceeds fund critical child and family support services at CHaD, including the Child Life Program, Molly’s Place, and the Child Advocacy & Protection Program and more. • The Child Life Program alone is able to serve 12,000 kids each year thanks, in part, to fundraising from the CHaD HERO. It goes without saying that you probably know a child who has benefited from the fantastic care provided at CHaD. Let’s help kids get back to the business of being kids!